The EnergySolutions Arena is an indoor arena in Salt Lake City, Utah, United States owned by Jazz Basketball Investors, Inc., the estate of Larry H. Miller. The arena seats 19,911 for basketball, has 56 luxury suites, and 668 club seats. Opened in 1991, the arena was known as the Delta Center until EnergySolutions purchased the naming rights from Delta Air Lines, effective November 20, 2006. 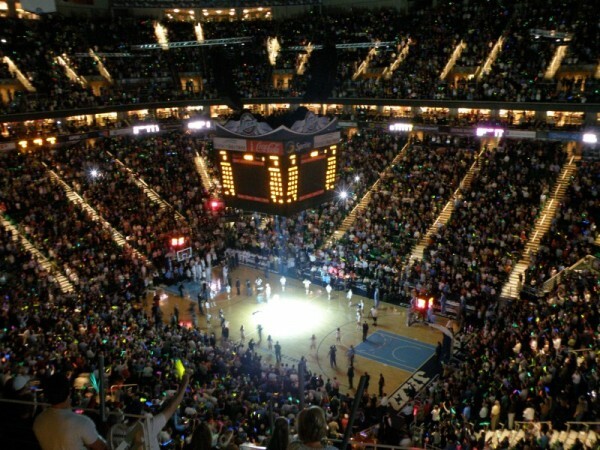 The arena is the home of the NBA’s Utah Jazz.